Hoang Yen Chao Castle (Hoang A Tuong castle) is a unique construction work, which harmonizes the Oriental and Western architectural styles. Every year when spring comes, the whole district Bac Ha, Lao Cai province, is coated with a white shirt of plum flowers. In the white background stands out a mansion complex of Hoang Yen Chao - Hoang A Tuong (father and son) in the greenery of boundless forests and mountains. For over 80 past years, moss-grown Hoang A Tuong mansion has become a destination for visitors far and wide. 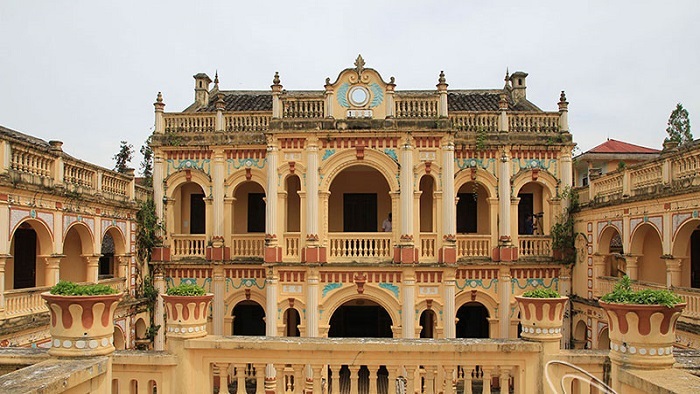 The mansion was built in 1914 and completed in 1921, the owner is a governor - Hoang Yen Chao, father of Hoang A Tuong. Before 1945, Bac Ha was a semi-feudalist colony. Rulers were exploiter (like mandarins in the lowlands). Backed by the French colonialist, Hoang A Tuong and his father Hoang Yen Chao cruelly exploited the locals who were forced to work as servants and slaves and to hand in precious and valuable properties. Enriched, the ruler forced the locals to build his mansion, he paid for French or Chinese architects who directly designed and supervised the construction. 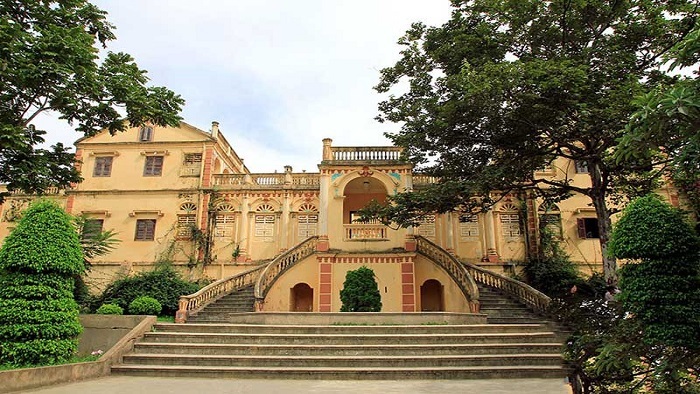 The mansion complex of Hoang A Tuong is a closed in compound, a good harmony of Asian and European architecture, two staircases lead to sitting-room, a large ground where celebrations or dances took place. The main mansion is two-storeyed on an area of 420m2. Doors were built in medieval European styles, different in heights and widths, each floor is 3-room, the side-rooms spared for family activities, the central room reserved for meeting or receptions. Interiors or exteriors were beautifully decorated, on both sides were two column-scrolls, characterising best wishes and happiness and prosperities.. Further on either sides are subordinate houses, lower than the main one, close to the houses are two smaller and lower houses reserved for servants or watch-men. The mansion is surrounded by thick walls with 3-door gates (One main and two-side gates and fox-hole for security watch. Total area of the compound is 4.000m2. Building materials: steel, cement, bricks.. were produced on the spot under direct surveillance of the Chinese or brought from the lowlands. It's said that the plaster was a mixture of cement and honey that the rulers forced the locals to hand in. 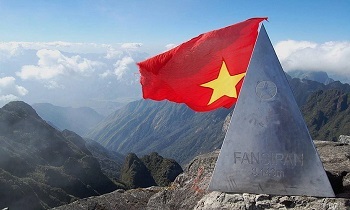 A strict policy to protect and preserve the mansion-complex by Lao Cai People's committee and Department of Commerce and Tourism is underway to lure visitors to the region, to find out and to understand history of a prosperous but bygone era. At present, this castle is put under a restoration scheme to better help tourists get insight into the changes of the local life. Hoang A Tuong Palace is located in the center of Bac Ha town of Lao Cai province, known as the most powerful house in the Northwest once. 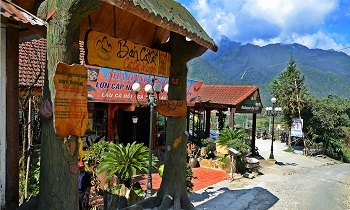 To get here, you can go straight from Hanoi to Bac Ha or combine Sapa travel first and then visit later. 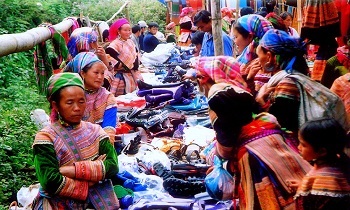 Bac Ha is about 70km from Lao Cai and about 300km from Hanoi. If you decide to go from Hanoi, you can take the train or bus to Lao Cai city, then start from here to Bac Ha with the price from 50.000 VND - 70.000 VND. From Hanoi, you can catch a car to Bac Ha directly from My Dinh bus station but the price will be higher depending on the type of cars. 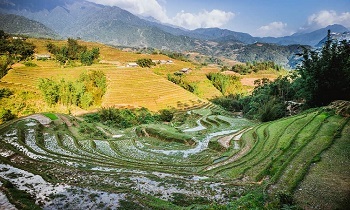 If you want to join Sapa day tour from Hanoi, you should catch the car back to Lao Cai, then from Lao Cai to catch a bus to Bac Ha. 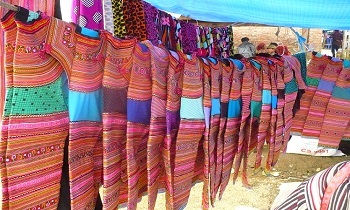 Coming to Hoang Yen Chao castle, you can not only visit the most magnificent mansion but also buy local handicraft products such as brocade skirts, silver rings, scarves, and very unique clothes. 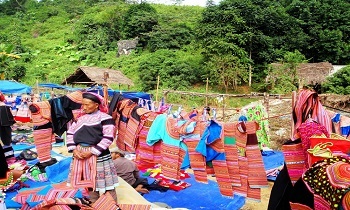 You can also come to the hut which is a display area of ​​many memorabilia and artworks on traditional costumes of the Mong, Dao, Tay, etc., or art works on the life of the highland people. 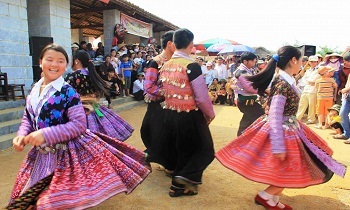 In the back of the main house of Hoang Yen Chao castle, you can visit the traditional model of Bac Ha maize wine, see how to cook wine and listen to an introduction to that way. Especially, visitors can experience the aura of the past by booking a room at Hoang Yen Chao castle. Hoang Yen Chao Castle - the most powerful house for a while in Bac Ha plateau, has a magnificent beauty with ancient features. Being a place full of attractive historical stories will surely be an indispensable destination in your upcoming trip. 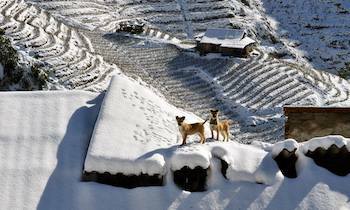 If you need any question about Sapa tours homestay, let’s contact us. Thank you!